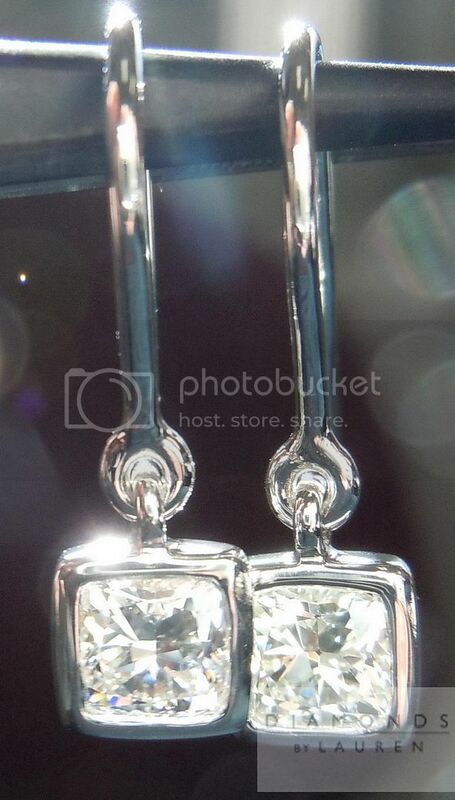 This is a gorgeous pair of diamond dangle earrings. 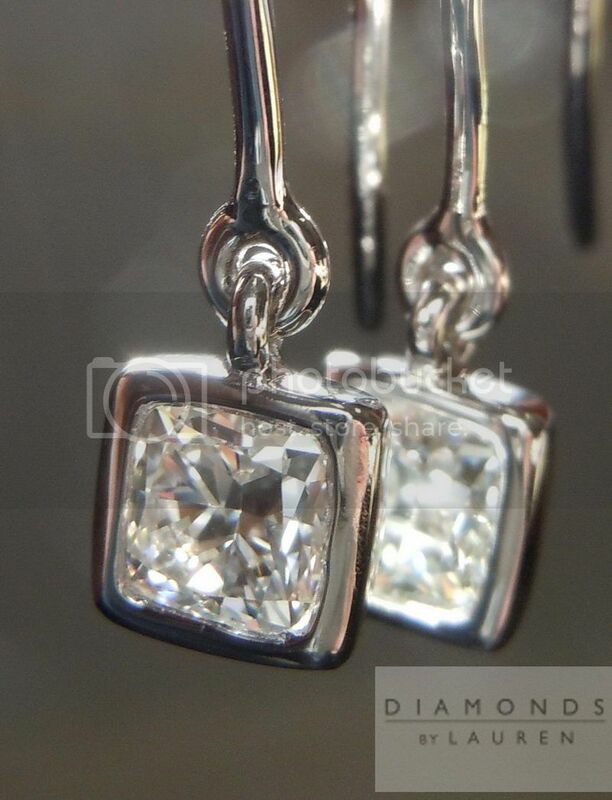 The diamonds are well cut modern square cushion cut diamond. 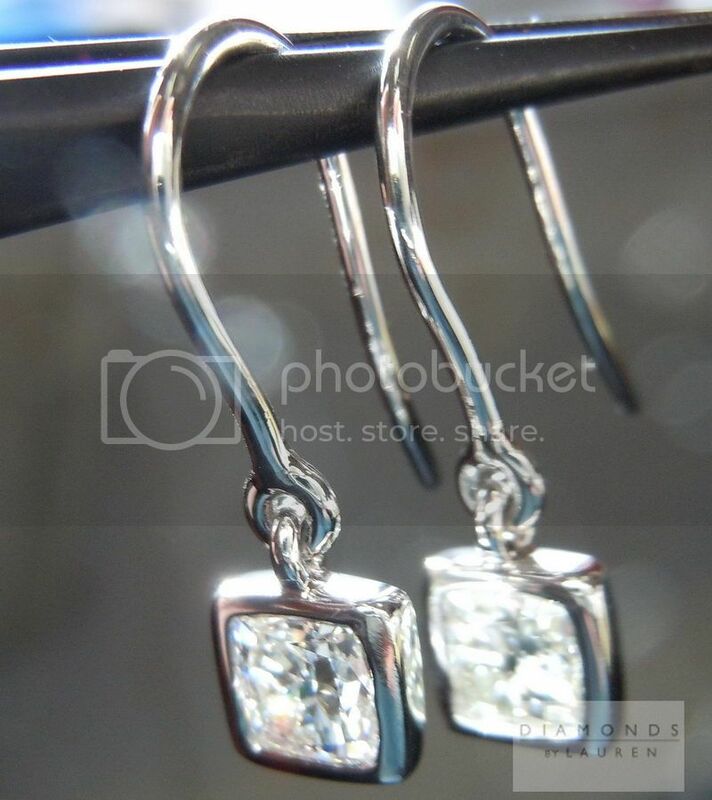 They are nearly colorless giving you a very bright stone in addition to being full of sparkle. 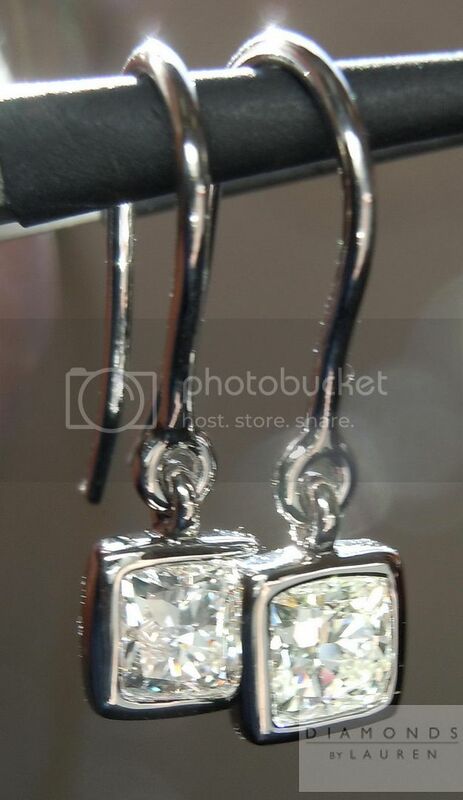 The stones have been bezel set to give you a classic look that is perfect for daily wear or a night out on the town. 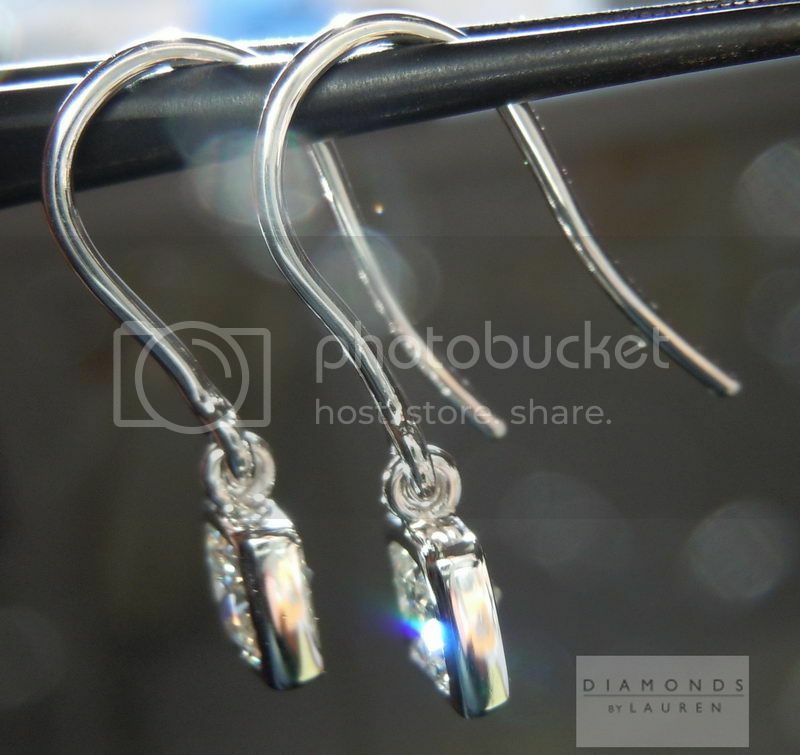 The diamonds dangle from platinum wire and have a lovely movement to them while worn.